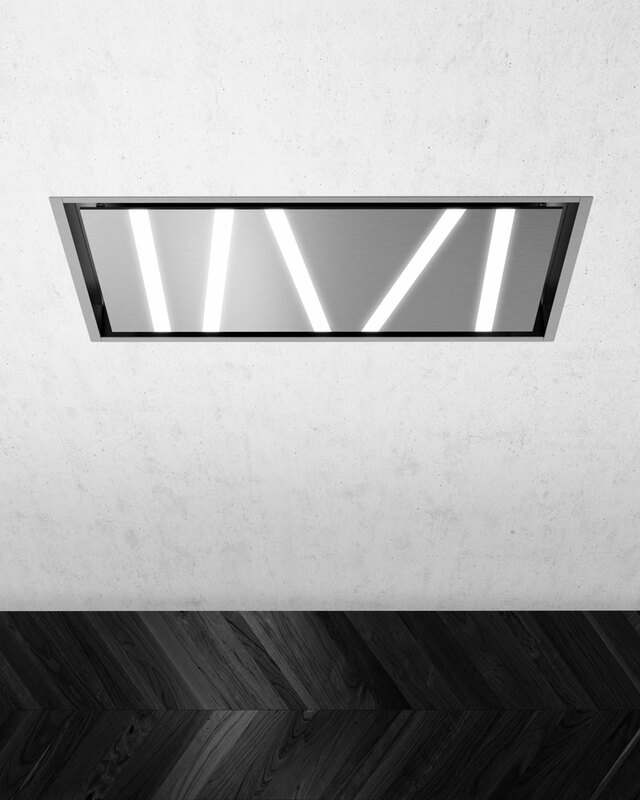 This modern ceiling hood is an ergonomic solution with minimalist desi- gn. It will be a perfect match for open kitchens with an island. Thanks to its flat shape, it takes up less space than devices in this class available on the market. The installation system guarantees a simple and easy assem- bly of the hood, while the innovative motor housing allows placing it in the hood or directly next to it, in the ceiling. For the consumers’ convenience, the device comes with a remote control, which makes it possible to cho- ose the power and intensity of light in an intuitive and comfortable manner.